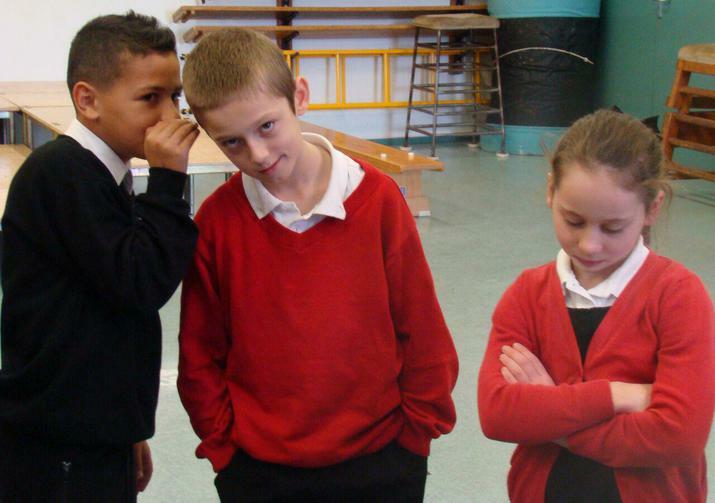 ​As part of National Anti-Bullying Week, pupils at Hereward Primary School participated in a variety of activities to help embed understanding of not only what bullying is and is not, but what to do to get help. Special assemblies helped with the issues, as well as the contributions by visitors such as Brenda Weaver (Guide Dogs for the Blind), Debden Park High School drama teacher, Seb Ventura and representatives from the fire service who talked about cyber-bullying. Headteacher Mr Woolard said, "Anti-Bullying Week this year was designed to support our children to understand ways in which we can all work together to stop bullying and to help others."